Hiring your first employees is an exciting milestone for any startup founder. It’s a sign your startup is (literally) growing and getting traction. However, it’s also notoriously stressful, time-consuming and difficult. After all, if it’s just you and your co-founders, the first couple people you bring on board will contribute to a significant portion of your startup’s culture, product, and commitments. If you choose the right people, you’ll get great results. But if you don’t, you risk endangering your entire company. To walk you through this tricky process, we’ve put together a comprehensive guide to hiring your first employees. You first need to know when it’s time to expand your team. If you and your co-founders are trying to be as lean as possible, it can be difficult to convince yourself you need more help—nd sometimes, it’s feasible to put off bringing on another person by giving everyone just a little bit more to do. One or more of these should tell you it’s time for another employee. There’s some debate over the best types of early-stage employees. Some believe you should hire generalists, while others argue for specialists. The ideal person is probably “T-shaped:” means he or she is broad in many different areas and deep in a particular one. Because startups are constantly changing—because they’re iterating their product, expanding into new markets, pivoting, or all of the above—you don’t want to hire someone whose specialization might be obsolete to your business in a couple months. On the other hand, you don’t want someone who is so generalized that he or she doesn’t provide anything unique. Andrew Chen, who directs Uber’s viral growth efforts, advises that you search for T-shaped people by “asking a deeper set of questions when interviewing candidates, and asking them to do exercises that are outside of their stated skillset.” In addition, Chen says you should spend an equal amount of time asking about the candidate’s “depth” area. You’ll probably want to prioritize cultural fit as well. The smaller the team, the more important it is that every member fits in. You and your co-founders should figure out exactly what your company culture is. Do you care about transparency? Collaboration? Independence and proactivity? An eagerness to learn? An obsessive desire to improve the product? A passion for understanding the customer? If you don’t already have a culture code, we suggest writing one up. That way, you’ll have a unified set of values to reference when interviewing. You should also think about how you and your co-founders communicate. If you prefer to hash things out in brainstorming sessions, but employee #1 likes to discuss everything over email, you won’t work well together—no matter how brilliant he or she is. And if you’re pretty informal (with the occasional profanity-riddled email), a buttoned-up, by-the-rules person will feel pretty uncomfortable. There are different theories about the most important factor in a startup’s success. Whether you believe it’s people, product, or market, it’s pretty clear that the wrong early-stage employees can sink your company. Managers. If someone is accustomed to heading up large groups, his or her default is to delegate. But the majority of projects or responsibilities in a startup cannot be delegated, or nothing will get done. You need people who will both come up with ideas and execute them—and the sooner, the better. Those in it for the money. This may be obvious, but you don’t want to hire anyone who’s joining your team because they want equity in the next Airbnb or Uber. It’s crucial your first employees are almost as, if not equally, invested as you; this passion will give them the persistence and drive they’ll need to be successful. People who look just like you. One of the best ways to build a great team is to hire people who have totally different skills, philosophies, and backgrounds than you. Of course, you don’t want them to be so different that you’ll never agree on anything, but you want team members who will challenge your ideas and come up with their own. Once you’ve determined what you’re searching for, you need to write a job description. The most compelling job descriptions are clear and detailed. You’ll also want to steer away from “soft” requirements such as “self-starter” or “dependable with ability to meet deadlines.” Why? They’re implied. Plus, no one’s decision to apply will hinge on whether or not you want a dependable employee—everyone thinks of themselves as dependable. However, if you include specific requirements like “Experience deploying applications on AWS or similar cloud infrastructure,” you’ll receive a smaller—but much more qualified—list of applicants. Since you’ll be giving out equity, it would probably be a good idea to include the range an employee could expect as well. It’s relatively inexpensive to post your job opening on traditional job board sites such as LinkedIn, Glassdoor, and Indeed. You should also take advantage of niche sites specifically for startup jobs, like Angel List (free), Underdog.io (varies), and VentureLoop ($99/job). And if you’re hiring for people who will be crucial to your company’s success—which they should be—we highly recommend trying to recruit candidates. There are tons of online communities where you can find highly talented and passionate people, including GitHub, Behance, Slack, Quora, Stack Exchange, and Meetups.com. Of course, you’ll have to do a little research to find out which sites are popular among the people you want to reach. Once you’ve found someone who looks great, reach out to them explaining who you are, what your company does, and why you think he or she could benefit from coming onboard. Asking your network is another fantastic way to find qualified candidates. Send out emails, tell other entrepreneurs you’re hiring, ask your LinkedIn, Facebook, and Twitter contacts if they know anyone who could be a good fit, and mention that you’re looking for people during every business conversation you have. 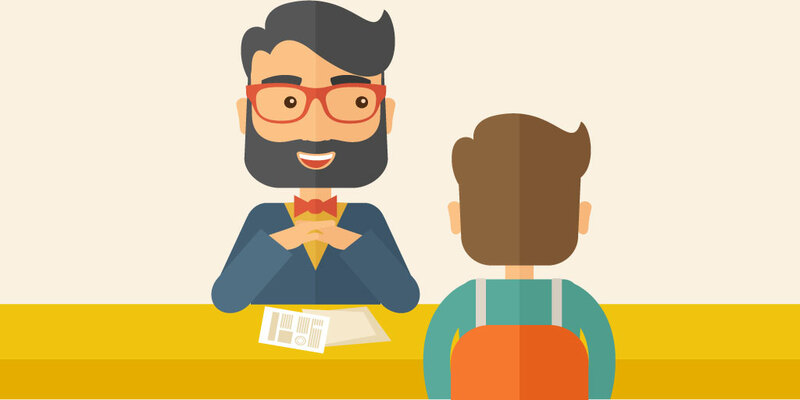 With so much to consider before you hire anyone, it’s pretty important to have a thorough interviewing process. As RecruitLoop CEO Michael Overell explains, screening applications is “incredibly time-consuming,” but essential. After you’ve collected a group of applications or resumes, you should immediately go through and sift out anyone who doesn’t meet your basic requirements. Next, you can either invite people to Skype or phone interviews, (or if your pool is small enough) hold in-person interviews. If you decide to do the former, make sure your calls don’t go over 30 minutes. Ask about candidates’ motivations, abilities, background, and why they want this job. Don’t forget this is a two-way interview—so highlight why your startup is an attractive career option. By the time you’ve reached the in-person interview stage, you should be dealing with a fairly small number of candidates. Elad Gil, a successful entrepreneur, explains that for every 100 applications his company received, around three made it to the in-person interview. Have everyone on your team interview candidates. So if you’re hiring employee #5, he or she should not only meet with you and your co-founder(s), but employees #1-#4 as well. Each interview will tell you more about the person—and will tell the person more about your startup. Meet with candidates in a social setting, like a bar or restaurant. This will help you determine if their personality melds with everyone else’s. Ask candidates to complete a project or task for you. If they’re applying to be an engineer, have them do a code test. If they’re applying to be your VP of Sales, task them with actually making a sale. Bringing the right people onto your team requires a huge amount of time and effort. In fact, Overell estimates it took him more than 150 hours to find two “phenomenal” new employees for RecruitLoop. The good news: Once you expend this effort, you’ll find the impact of those hires on your startup to be disproportionately great. Good luck on your hiring journey, and don’t forget to let us know how it goes!